The Celebration Brass Quintet was founded in 2001 by members of the Minnetonka Symphony Orchestra and began its career as artists-in-residence at Gethsemane Lutheran Church in Hopkins. Drawing from a library of more than 400 arrangements, the quintet has developed a wide repertoire in a variety of musical genres, including jazz, Dixieland, ragtime, classical, show tunes, and "golden oldies." 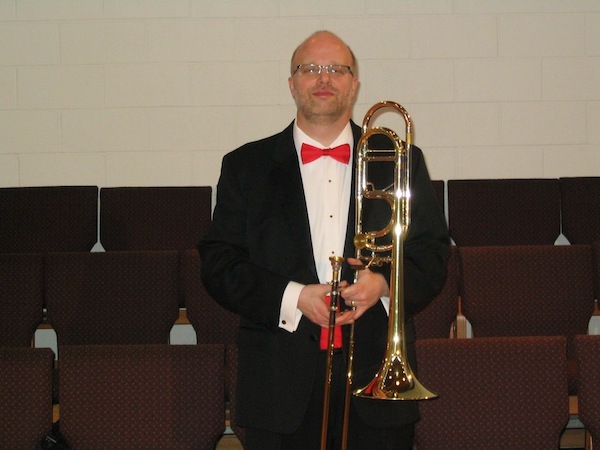 The Celebration Brass has played at numerous venues across the Twin Cities area, including Music Association of Minnetonka concerts, weddings, churches, arts centers, retail stores and senior residences. Steve graduated with a Bachelor of Music degree from Concordia College, Moorhead, MN. He currently performs with the Minnetonka Symphony, Minnetonka Band, Celebration Brass, Cannon Brass Choir, Silver Lake Brass and the Maple Grove Jazz Ensemble. Steve also arranges and directs instrumental music for Family of Christ Lutheran Church in Ham Lake, MN on a weekly basis. In real life he is a mild mannered Operational Loss Risk Analyst with USBancorp. Betty pursued her music studies at Augsburg College. She is a member of Brava! Brass Quintet and has played for over 30 years with the Da Capo Brass Quintet, whose performances include the Prairie Home Companion and Minnesota Public Radio's Live From Landmark concert series, and numerous recitals at the Minneapolis Institute of Arts. 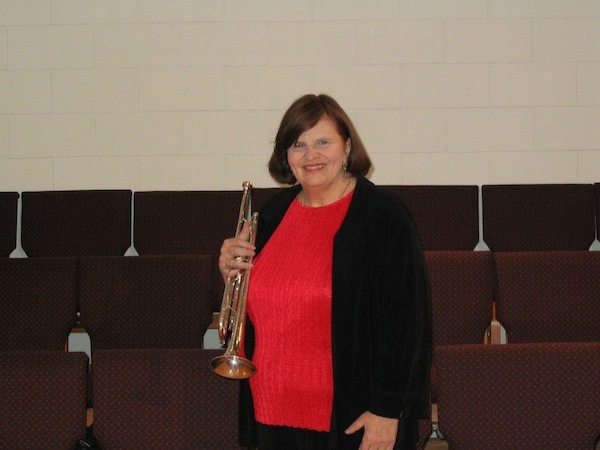 Betty is also a member of the Minnetonka Symphony Orchestra and also has performed with the Dakota Valley Symphony, the Dakota Valley Summer Pops Orchestra, the Kenwood Orchestra, Allegro Symphonia, and the Minneapolis Civic Orchestra. Betty performs regularly with theater groups across the Twin Cities area, including the Gilbert and Sullivan Very Light Opera Company, the Lakeshore Players, the Moundsview Community Theater, the Cross Community Players, the Maquers Theater and the Morris Park Players. Bob pursued performance music studies at Pepperdine University, Malibu CA, California State University at Los Angeles, and at California State University at Fullerton. 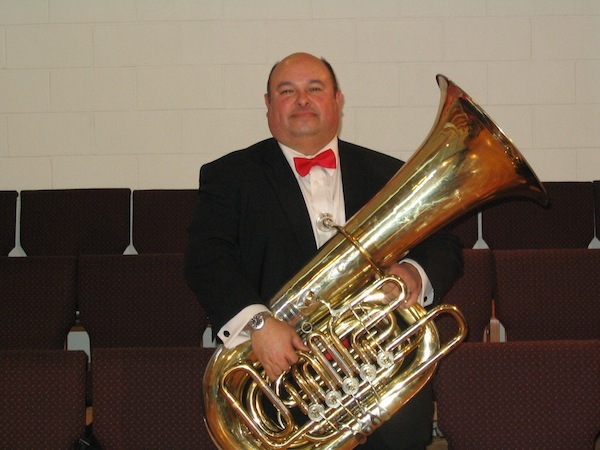 He is currently a freelance Tubist and has played with Minneapolis area groups, such as the Minnetonka Symphony Orchestra, the John Philip Sousa Memorial Band, and Southern California groups, such as Hour of Power Television Orchestra and Glory of Christmas/Easter Pageants-Schuller Ministries. Bob plays his 1977 Mirafone 186-5U tuba in performance. Kevin graduated from Indiana University with a Master of Music degree in trombone performance. 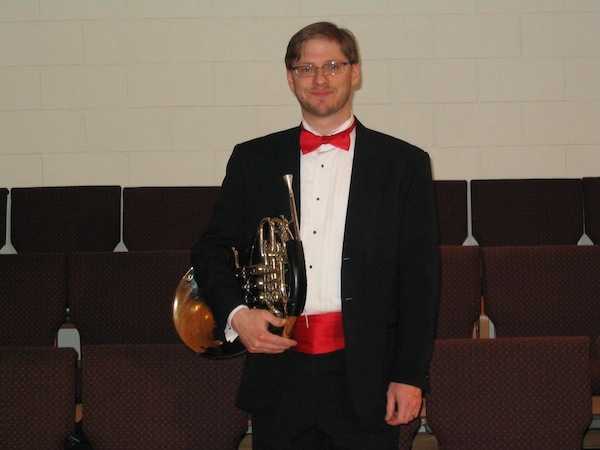 He is a member of several local groups, including the Minnetonka Symphony Orchestra, the Minnetonka Concert Band, and the Metropolitan Trombone Choir. 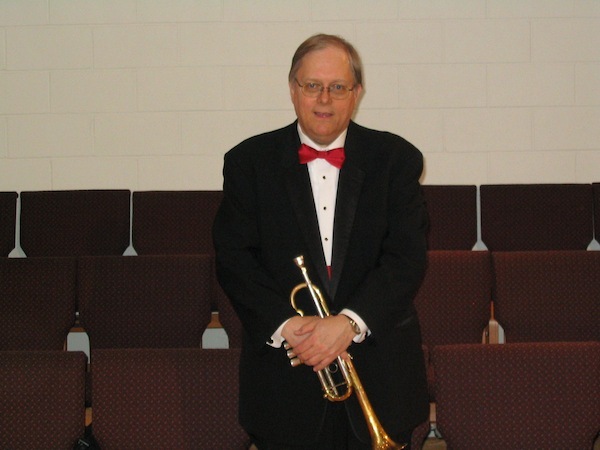 He has played with other groups in the Twin Cities including the Kenwood Symphony Orchestra, the Cities Orchestra, Universal Jazz, Brio Brass, Lyric Arts of Anoka, Off Broadway Musical Theater of New Hope, Mounds View Community Theater, and the Calhoun-Isles Community Band. Kevin has also performed with many groups outside of Minnesota, including the South Dakota Symphony, the Sioux City (Iowa) Symphony, Columbus (Indiana) Pro Musica, Cumberland County (Tennessee) Playhouse and The Carpenters. Chris studied music at the University of Wisconsin Eau Claire. He is presently a member of the Cannon Choir of Brass and the Gilbert and Sullivan Very Light Opera company. He has also performed with the Encore Wind Ensemble and the St. Paul Civic and Minnetonka Symphonies, as well as several musicals in and around the Twin Cities. Chris joined the Celebration Brass in 2011.